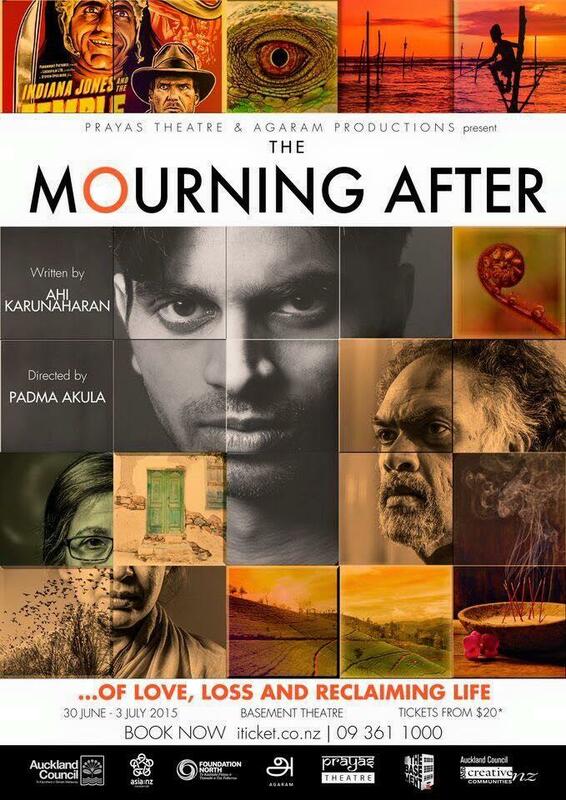 New Zealand’s first full-length Sri Lankan play. A sell-out season before opening night. 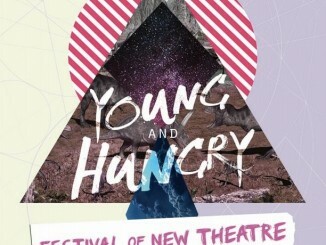 It’s an exciting premise to the beginning of a new branch of New Zealand-Asian theatre. Upon entering The Basement, the audience is greeted with Karnan Saba’s soundscape, both captivating and subtle, with all the originality and instant identity of a John Williams’ score, and Christine Urquhart’s set design, the remnants of a tsunami stricken Sri Lankan home, and a door behind which we know something is hidden. These spectacle elements are immediately gratifying, but merely teasers to a play that lacks substance of greater, or even equal, value. 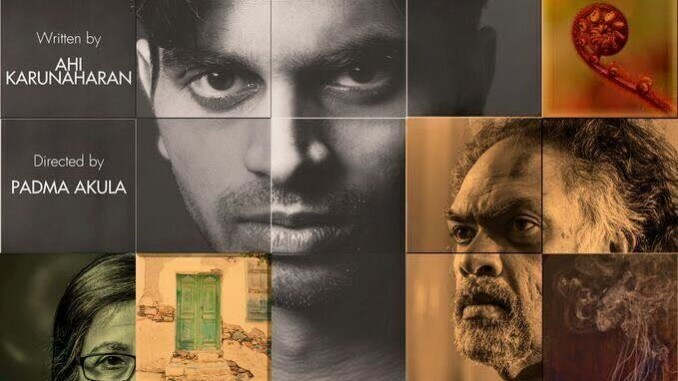 Ahilan Karunaharan’s pioneering script is developed from a solo show post drama school training, developed into an ensemble piece upon “being in the presence of other South Asian actors”. The play is a surreal drama, but, at its heart, there is no conflict. It’s a “…journey of discovering a family secret… these characters and their heartbreaks”, but with only two lines throwing fish hooks to the audience, which are never reeled in, and no subsequent clues peppered through the script, the discovery is not done by the audience. Eventually, we’re told everything, as characters come to realisations without us seeing them go through them. From the moment Shaan Kesha speaks, it is clear that he is not an actor. There are no breaths in his speech and consequently no beats in his thought process. As Raju, Ravi Gurunathan plays for all the laughs. He gets them, but it comes at the cost of any sincerity in his performance. Everything Gurunathan does is layered on top of his performance, thick and heavy. Nothing comes from within. He sells it to most of the audience, but I don’t buy his shtick for a second. Sudeepta Vyas, one of only two characters with the chance to generate any catharsis, plays one note the whole way through, and the other, Prateek Vadgaonkar, while offering an authentic, albeit messily executed rage, presents the kind of limp a Lamborghini driver uses when parking in a disabled spot. Thank God for Mustaq Missouri. His vocal prowess and comedic physical articulation aside, the moment he sees Shekar (Kesha), and the face of a ghost from his past, is the only honest one in the play. If director Padma Akula did only one thing right, it was the casting of this role. Unfortunately, even Missouri’s performance eventually succumbs to her direction. Akula does not direct with an audience in mind. 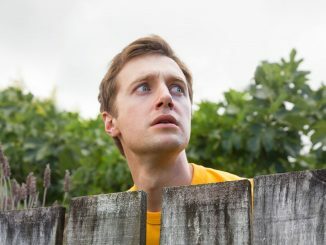 Not only does it not seem to matter whether or not an audience can hear the words of the playwright, apparently sightlines are of little concern as well. She doesn’t care about the rhythm, or pace, or progression of a text. She plants actors and then sets them into opposing motion at the same time. She makes them play for feeble, gaudy gags. She has no respect for what (admittedly little) dramatic weight is contained within Karunaharan’s script, no teasing of the lines, no pulling of the thread; it’s either all or nothing, and, most of the time, it’s nothing. When something finally does happen, everyone yells, so much so that the extremity of the shift feels a natural climax to the play, but no, it drags out for at least another 10 minutes. I was looking forward to this production. Without burdening it, I had very high hopes, however, as the show progressed my excitement at the impact of being presented with a cultural ingredient of New Zealand’s melting pot with which I am otherwise unfamiliar, potentially portrayed with components of Asian theatrical techniques and conventions, resulting in an original, authentic, and moving piece of theatre, was washed away in the tide of mediocrity. 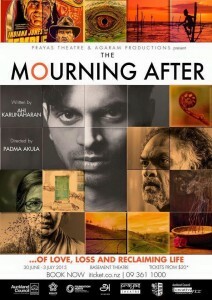 The Mourning After is presented by Prayas Theatre and plays at The Basement until July 3. For details see The Basement.